We have been so excited to do this review since the day we found out that we were getting this amazing chance. SPI belt stands for Small Personal Item Belt. That makes sense, right? For runners this can be an essential piece of your running attire. Many times when attending a large race you have to have your id, keys, phone, etc. Where do you put that stuff? A lot of races have places where they can hold your stuff, but why not just take it with you? SP belt has so many awesome products including the belts you will see below, spibands, and even items for kids! Make sure you read what we, Big Sis and Lil' Sis, both thought of the Spibelt ... and see what is in it for YOU! 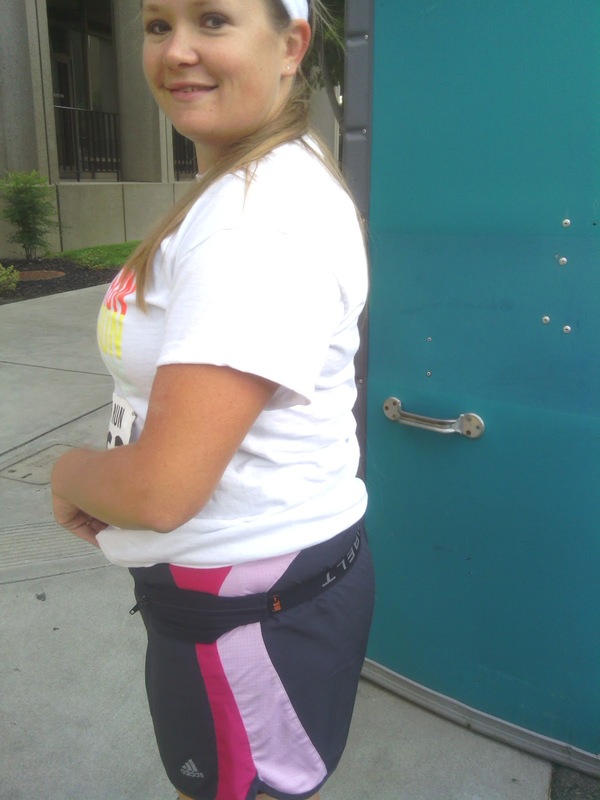 I have always seen runners wearing belts around their waists, but they always contained water bottles. They always seemed big and bulky and I never thought it would be something I could run with. I remember when I ran the Rock n' Roll 1/2 Marathon and I saw so many runners with these, I thought it was genius, but I knew it would bother me. I was beyond excited when I opened the package and saw my little black belt! It was perfect. I was a bit worried about the pocket- but man, it holds so much! 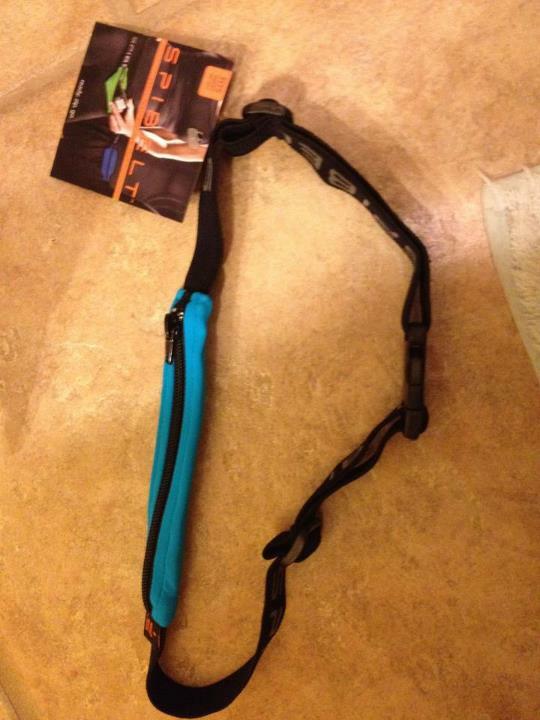 It is so small but stretches to meet your needs, which is perfect for any runner. I have worn it on several runs, but the run that it mattered the most was in a 5K that I did. I was able to wear it with my credit card, ID, keys, and money! AND... best part, I completely forgot the belt was on me. It did not irritate me at all. Actually I didn't even notice it was there! I did not feel/hear money jiggling nor did my keys bother me. I was also so excited when I realized that the belt had not moved at all. The SPI belt could be used by anyone! It isn't just for running. It is a great asset to any athlete. It could be used for walking, bike, running, hiking, etc. My mom recently purchased one and she even mentioned using it on motorcycle rides...what a great idea?! There are always times when we miss the days of the ol' Fanny Pack, right??? ;) SPI belt is the answer! You can also put it under your shirt and no one will even know it was there! I recommend this item to anyone! Now for my turn! I too have also been very excited to review the SPI Belt! When I received the SPI Belt in the mail, I was first very excited to see how cute it was! Mine is a black belt with a turquoise pocket. I loved that it was handy and stylish. 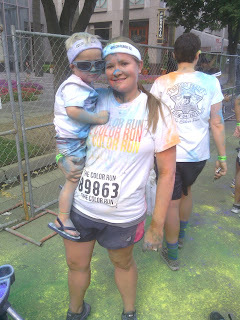 I was definitely excited to use it to run with. The first night I ran with my new SPI Belt I hit my highest mile goal so far of 6 miles. I honestly did feel that the SPI Belt helped me achieve that goal. The reason for that is because usually when I run with my Nike+ app I am constantly looking at my phone to see my current distance. With my phone in my SPI Belt, I didn't look at it until mile 4, so I felt so good and just kept going. It was great. Along with not looking at my phone, it helps just to have a place for it. Plus the pocket is sleek and small so it isn't in the way or bothersome at all. Another thing I like about the belt is the way it fits and how comfortable it is. It is adjustable and so you can fit it to the size that you want. When I first wore the belt I wondered if it would be annoying and move around a lot. I was very surprised to find out that it stayed in place perfectly. 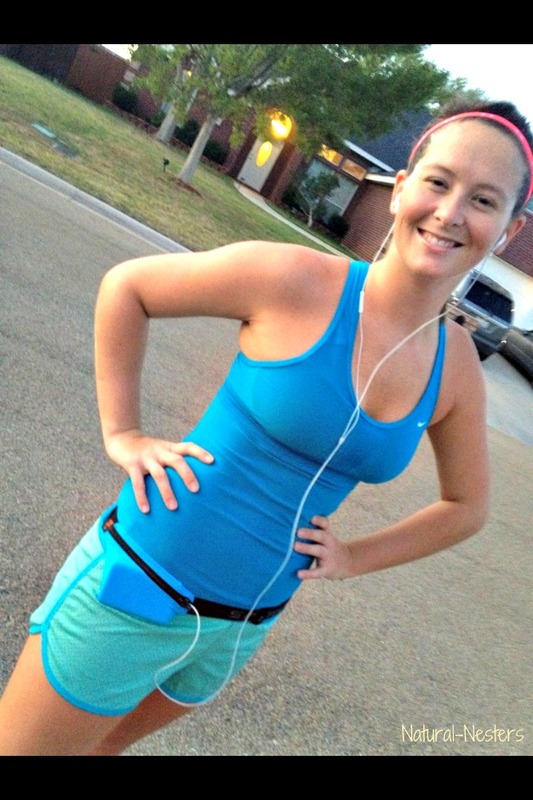 I didn't have to readjust the belt through my run at all, and that was great. Because when you are running and tired you don't want to be worrying about adjusting a belt, so it is great that stays in place. Also, it is just such a handy tool to have for any sport. You can wear it for anything, running, biking, yoga, anything. It is so handy to carry your phone, keys, credit cards/cash, any of those things that you may have to hold or carry with you. All in all the SPI Belt is a great investment! I will suggest it to all of my friends from now on, and I will definitely continue to use it throughout my future runs and workouts. I would like to add that each of us did our own review before putting them together. Many of our comments are actually the same, but they were totally done separately. That shows you how AWESOME of a product this it. If anyone has ANY questions, PLEASE ask us. We would be glad to try anything out with it or send pictures of certain parts if you are interested. NOW FOR THE AWESOME GIVEAWAY! The great thing about today is that not only do ya'll get to hear what we like about our SPI Belt, but you also get the opportunity to WIN your very own SPI Belt! No purchase necessary. We think it is awesome that the people over at SPI belt is going to give our reader a FREE SPI Belt too! Newer PostPINNING- I Love Lace!